Some brands are more successful than others on Facebook. And although one might argue that these brands are often also very successful ones in the real world, we believe this is not always the case. Success on Facebook is about more than having a well-known brand. Success on #Facebook is about more than having a well-known brand. The following visual was designed by Socially Stacked and presented by ShortStack is packed of insights into how successful brands are using Facebook to its fullest potential. 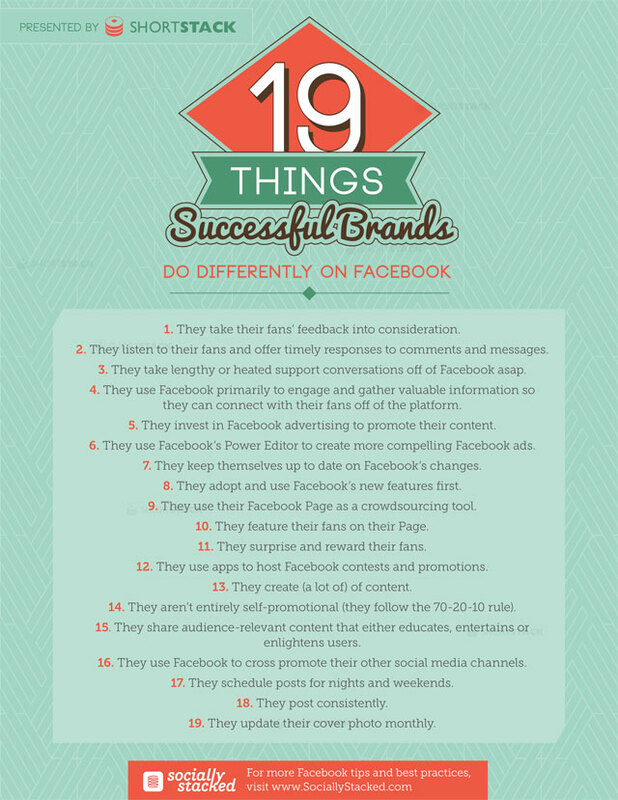 Use these 19 tips from the top successful brands on #Facebook to boost engagement. Now it’s your turn! Use these great tips and let us know how they impact your Facebook marketing. And if you have more tips to add, please do share them in the comments!